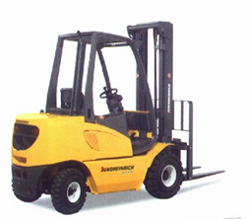 Clive Kelly and our team are all RTITB trained Forklift Instructors. We also carry our new entrant and refresher training as per HSA requirements. We deliver this course at the clients premises. We do not deliver public courses only for clients/companies on their premises with their equipment. When we use attachments such as skip, grab, tilt rotator and forks we will state that these have been addressed on the training and printed on your 3 year certificate. The consequences of not getting your forklift training up to date can be very serious. It can lead to down time in production, financial cost, injury to staff and the possibility of personal injury insurance claims. For example, many accidents are caused because people think that a forklift is easy to operate but statistics show that this is not the case and many accidents and fatalities have been caused by the incorrect understanding and use of controls. 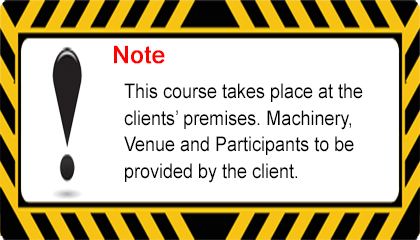 Our trainers understand the risks and can guide your staff to use the forklifts in a safe and proper manner. The Safety, health and Welfare at Work Act 2005 places a duty on every employer to ensure so far as is reasonably practicable the safety, health and welfare at work of all their employees which includes provision of the appropriate information, instruction, training and supervision. Forklift Risk assessment communicated and signed off. We also offer a motorised pallet truck training course.